This is a daily question and concern for most of us. A bit of forethought must go into the planning especially if thawing things from one's freezer and wishing to utilize that ingredient later in the day. Even if stopping by a grocery store on the way home to pick up last minute items, a plan for using them is well advised. Otherwise, if tired and hungry after a day's work, one is more likely to be tempted to grab a quick meal at the drive through fast food establishment or go out to eat. As we all know this is probably not the greatest of options for two reasons. Less nutritious and higher calorie food is often served at the fast food emporiums with a few exceptions. And frequent dining out at restaurants takes a toll on our monthly budgets. Let me show you an easy to prepare quick dinner option that does not take long to prepare and is delicious, nutritious and easy on the budget. This chicken pasta entrée with loads of fresh vegetables paired with a leafy green salad will be sure to please your family members and/or friends that may be stopping by to join you for your nightly meal. I made the pesto and the pasta dish at the same time but this pesto recipe could easily be made up ahead of time. Pesto can be created from many different ingredients. Most often basil is used along with EVOO, garlic, Parmesan Reggiano cheese, pine nuts or other nuts and seasonings. 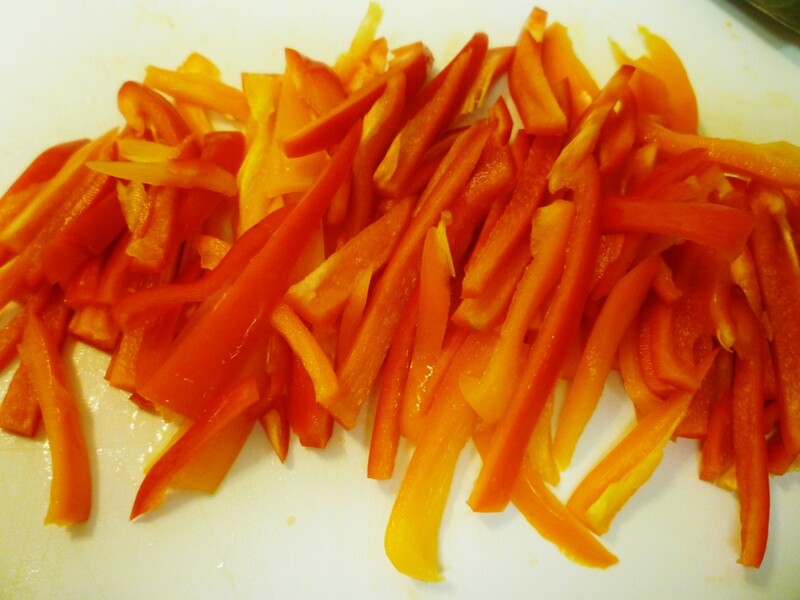 1/2 to 3/4 teaspoon crushed red pepper flakes for some extra spiciness and flavor. When I make homemade pesto I put what remains after use into small containers with a little extra virgin olive oil over the top and then freeze them. Pesto also keeps well in the refrigerator for a long time and retains its color if kept topped with a little extra virgin olive oil (EVOO). Giada de Laurentiis (one of the celebrity chefs on television) puts her pesto in ice cube trays, When frozen she puts them into freezer bags pulling out only however many cubes she thinks she will need for recipes. I have yet to try that but think that it is a good idea. All the fresh herbs did not fit into the bowl at first so I just processed it a bit and kept adding more as can be seen in the photos above. I gave it all a whirl in the food processor and lo and behold I had freshly made pesto! Let's get started! I would suggest making up your pesto first as I did. If you do not have the time or inclination to make your own homemade pesto, just purchase some ready made pesto at the grocery store. The flavor will be different but equally good. Cook your pasta according to package directions keeping it al dente, or slightly undercooked as it will finish cooking in the pan with the rest of the ingredients. Al dente means "to the tooth" which means it is still a bit firm. Drain the pasta saving some of the pasta water for later use, if needed. 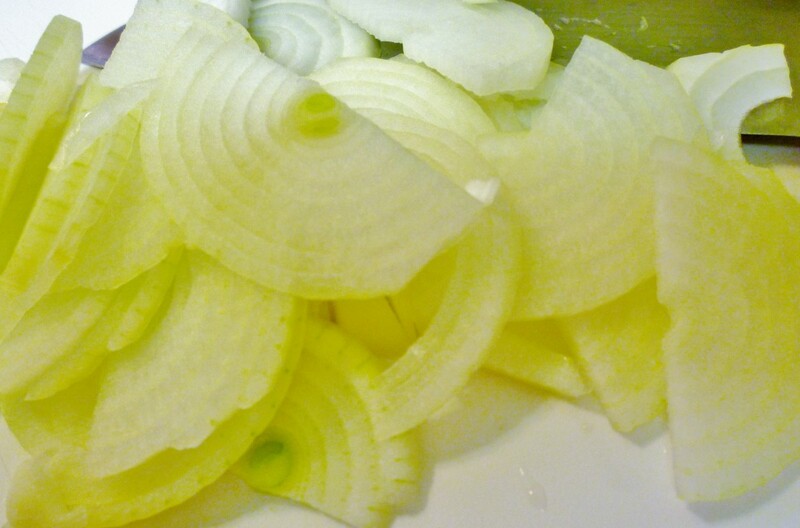 Slice your vegetables according to directions. 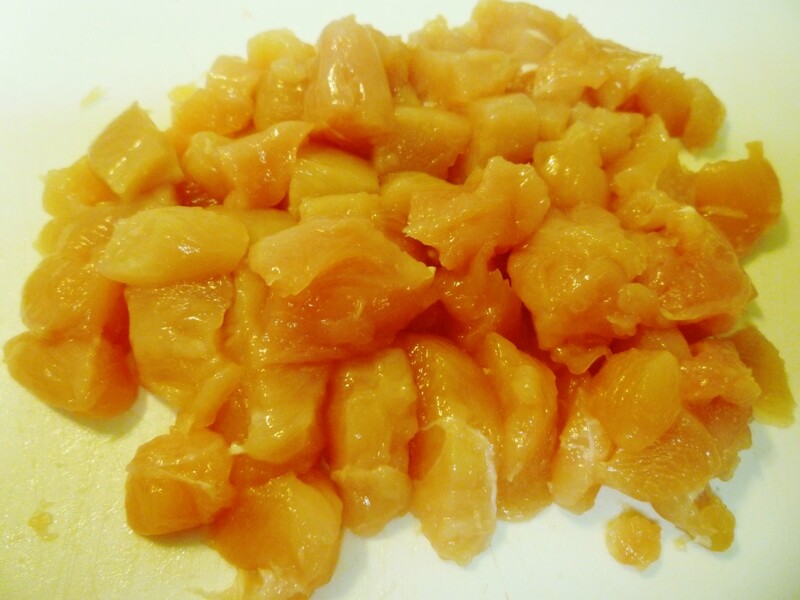 Wash and pat dry your chicken fillets and cut into cubes. 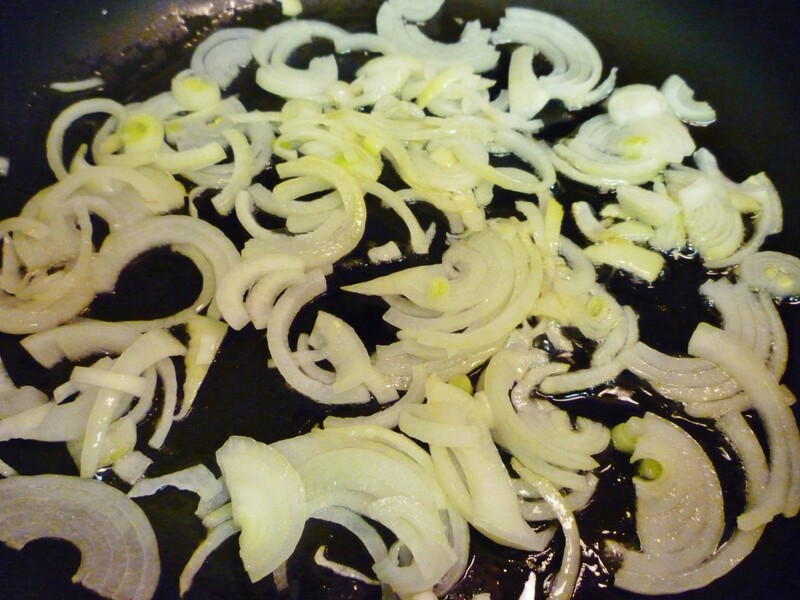 Start by adding the extra virgin olive oil into the pan and when heated add your sliced onions. 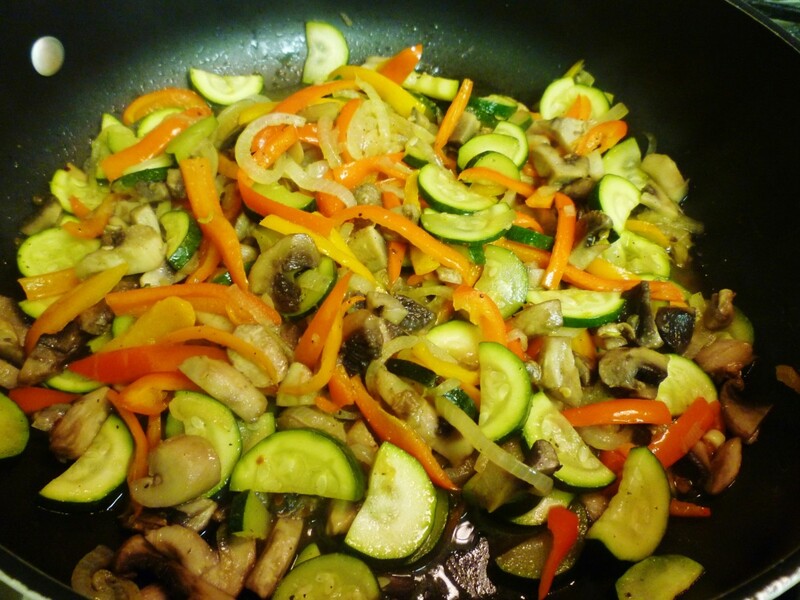 After a minute or two of stirring, add the sliced peppers, followed by the zucchini and mushrooms. 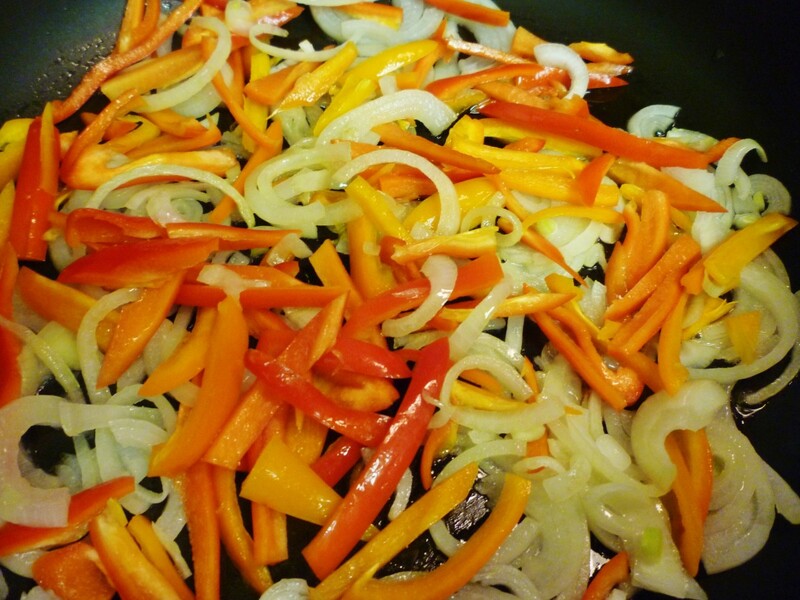 Season to taste and cook until the vegetables have all wilted and softened but still retain some of their bright colors. Add the diced chicken into the same pan adding a bit more of the oil if needed and sauté until just done. Season at this stage also. 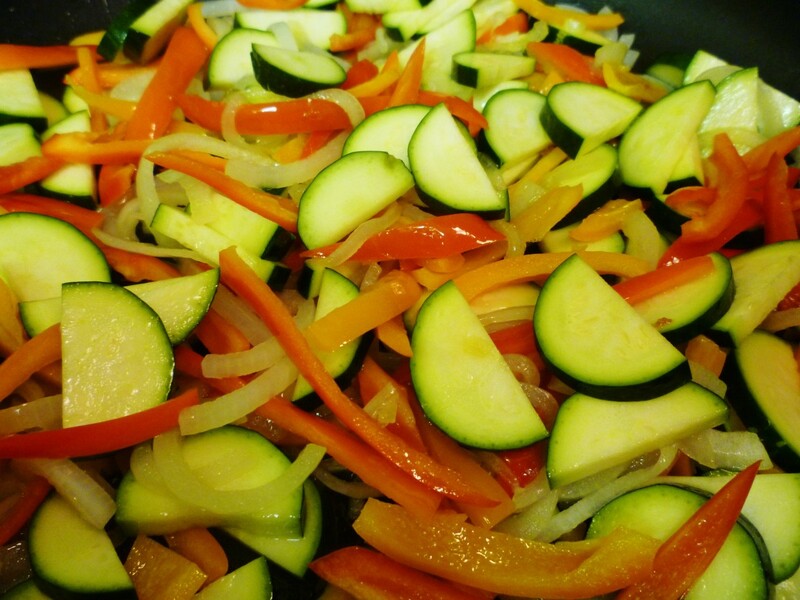 Add the vegetables back into the pan with the chicken and stir. Add the cooked pasta and some of the Parmesan cheese. Stir and taste. Adjust seasonings. If the pasta dish needs a bit more moisture, add some of the reserved pasta water into the pan a little at a time and combine with all of the ingredients. Add a few dollops of the fresh pesto. I probably used about 3 tablespoons or so. Use according to your own preference. When this is nicely mixed and to your liking, serve on heated plates and garnish with a little extra Parmesan Regianno cheese over the top, if desired. Enjoy! 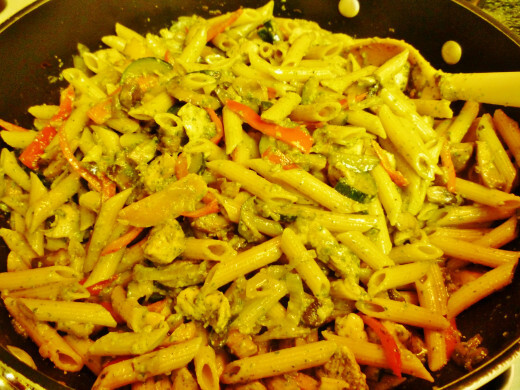 Completed Chicken Penne Pasta dish with vegetables ready to be served! Yields: Serves 8 or more people depending upon appetite. Note: This can easily be made into a vegetarian dish by simply omitting the chicken and skipping that part of the preparation directions. See how easy it is to come up with good tasting and delicious meals in an hour or less of preparation and cooking time? With ready made pesto or homemade pesto made ahead of time, the timing of this pasta dish is shaved down to almost half. No excuses now! Start cooking and enjoy the "oohs and aahs" that come from the people seated at your dinner table. Bon Appetit! 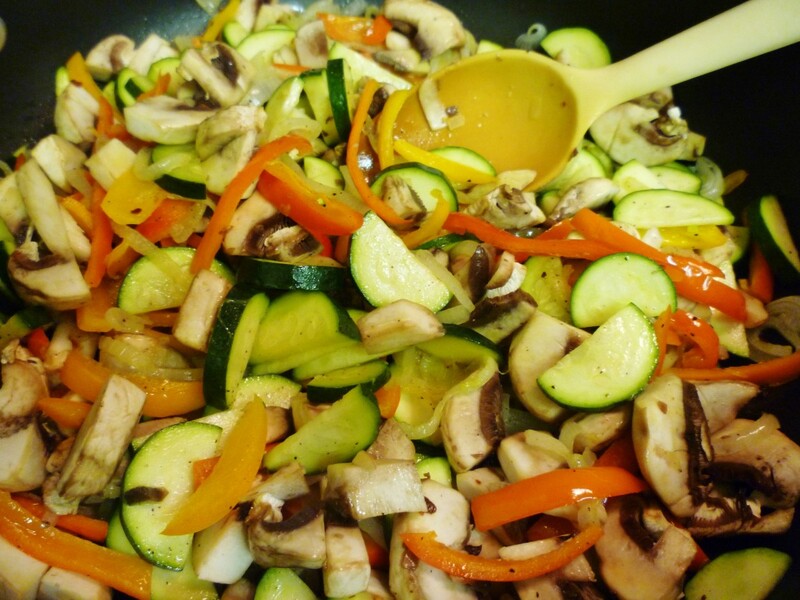 Do you think that you will be making this dish? Yes...looks delicious and sounds easy enough to prepare. Nice that you now know how to make your own pesto. It is so easy to make different versions of pasta dishes depending what one has on hand or what a family's food preferences might happen to be. Glad you liked reading this and thanks for the share. I also prepare a slightly different version for my children. Chicken is not cut in cubes in my recipe. 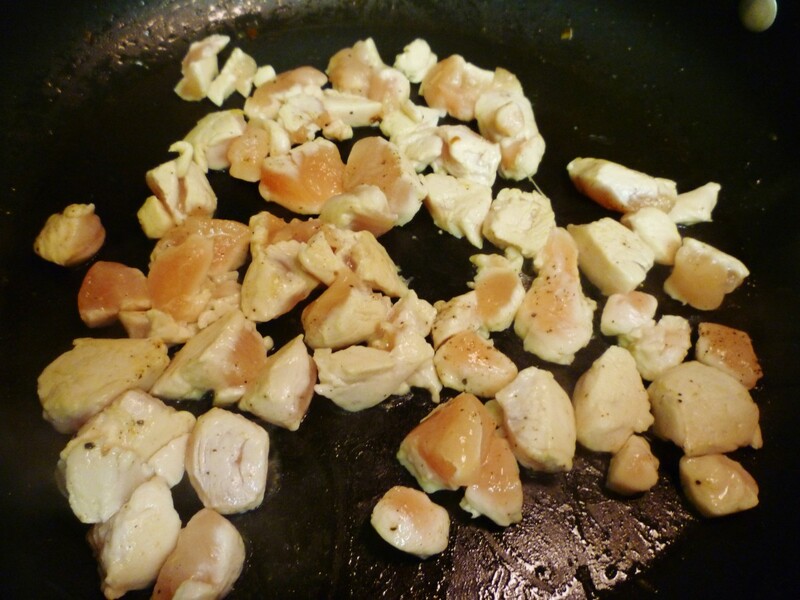 I boil chicken breasts and scramble into thin pieces. Sorry if reading about this recipe and seeing the photos made you hungry. Perhaps by now you or your daughter have tried this recipe? 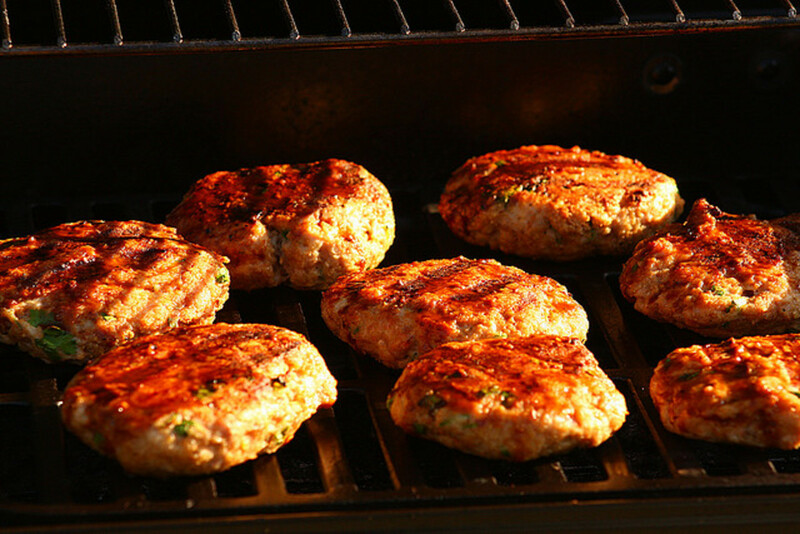 It is really tasty and flavorful. Appreciate the shares. Hope that this is a wonderful day for you with many blessings! One thing my family likes is food with lots of flavor and texture. And this fits the bill perfectly. I am pinning this to Awesome HubPages , sharing, and voting up. I am also sending my daughter to my Pinterest board to see this. I agree that it would be fun to meet fellow hubbers in our areas. Thanks for the share and stay warm in your part of Texas. It is certainly cold in Houston right now! Brr! I've been reading food articles for a while now as I respond to comments and I'm getting pretty hungry. This looks especially good. You know, it might be fun for hubbers to plan some potluck get togethers in various regions of the country so we can meet the people behind the photos/names. Everyone could make up a couple of their recipes and bring it to the potluck! Hubbers could attend the potluck in their region, or all of them if so inclined. Going to share this delicious looking recipe with followers. We are going to get down to 17 F. tonight with 25 mph winds. I've been dreading tonight for several days now. Hope you will be in a nice warm place! Glad you liked this Au fait. Thanks for the pin. This is really a pretty simple dish to prepare especially if one has the pesto already made or purchased. I'll bet that your cousin would be happy to give you a few cooking lessons if you are interested in learning how to cook. I guess that I was lucky. I learned much of what I know by watching and then helping my mother in the kitchen. Thanks for your 5 star rating and votes + comment. 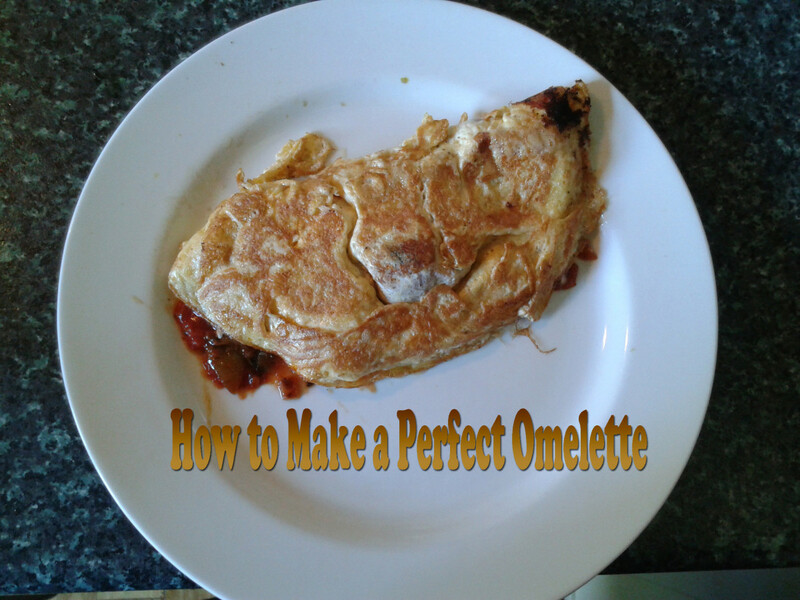 This really is a delicious and simple to prepare meal. Hope you enjoy it. Thanks for your comment and votes. This looks a very good recipe. Even though my cousin is very good cook but I can not cook to save my life but I do like eating. I am going to vote it up, 5 stars and awesome. I need to make it again sometime soon as well. It truly is a delicious pasta meal. Thanks for your comment. So glad that I shared just how easy it is to make pesto since you cannot find it in your markets. Happy that you found this pasta recipe to your liking. Appreciate the 5 star rating and the share. We really like this recipe and obviously it can be easily altered to suit one's taste or depending upon which vegetables you might have on hand to substitute which would be an easy thing to do. 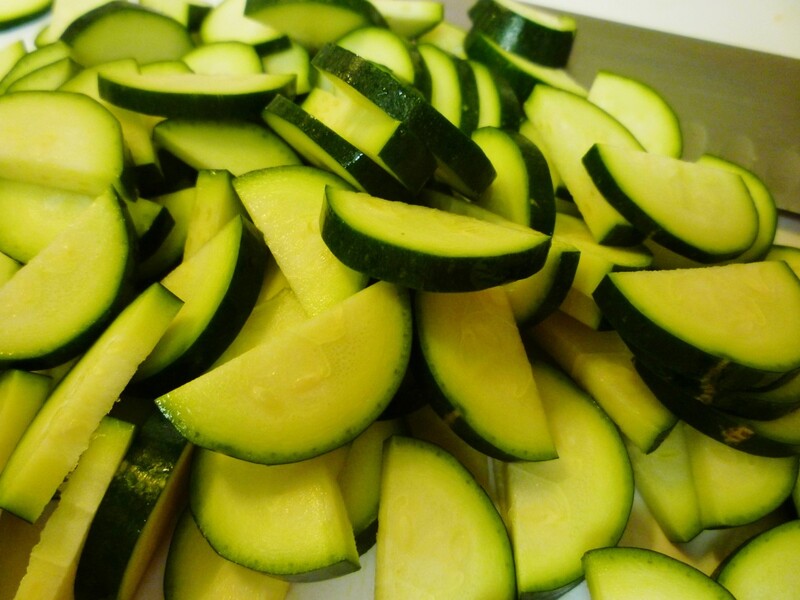 I just planted some yellow crook neck squash in the garden so if it is a successful crop I would switch it in place of the zucchini in this recipe. 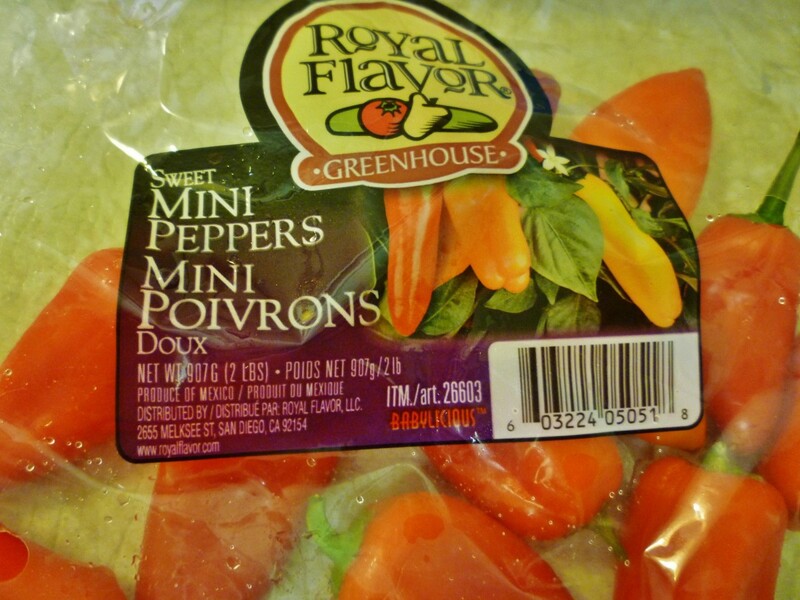 I am also growing an assortment of different kinds of peppers this year. Thanks for the pin! Hi Peggy have to pin this so I can add it into my recipes I like. Nice recipe! I'm doing this one. Will add eggplants, too. Yuuummm!!! Thanks peggy! Shared! Am sure you can substitute something different for the cheese. Not quite sure what would be similar to Parmesan Regianno in taste and texture that does not come from cows...but a cheese monger should be able to advise you. Of course you could always use a different type of dressing in place of the pesto. Good luck. Let me know what you came up with if you decide to make this recipe. Am sure others would be interested as well. Thanks! This recipe looks wonderful and I can try it if I change out the cow's milk cheese. Thanks! Nice to know that you like the sound and appearance of this pasta entree recipe. Thanks for your comment. Mmm oh yes another for my ever-expanding rcipe book . Thanks for sharing and I shall let you know how I get on. This looks really yummy and I haven't had any breakfast yet. I often like leftover pasta casseroles for breakfast heated or cold and I've been that way since I was a kid. I love that it includes so many vegetables which are my favorite foods. Voted you up, UA, gave you a star, and will share! If only I could...this chicken and vegetable pasta with the pesto would be on its way to you. As it is...you will just have to make it for yourself one of these days. :) Thanks for your comment and the share. My mouth is watering. I have not had dinner. This looks like something I would love a bowl of right now. Can you send me some quickly?? I am bookmarking and sharing. Fabulous. If you like quick and easy pasta dishes, you are sure to like this one with the chicken, vegetables and pesto. Enjoy! Thanks for your comment, vote + share. WOW this is such a awesome recipe and so easy to prepare, I love pasta dishes so i will give this a try ! Well Done ! 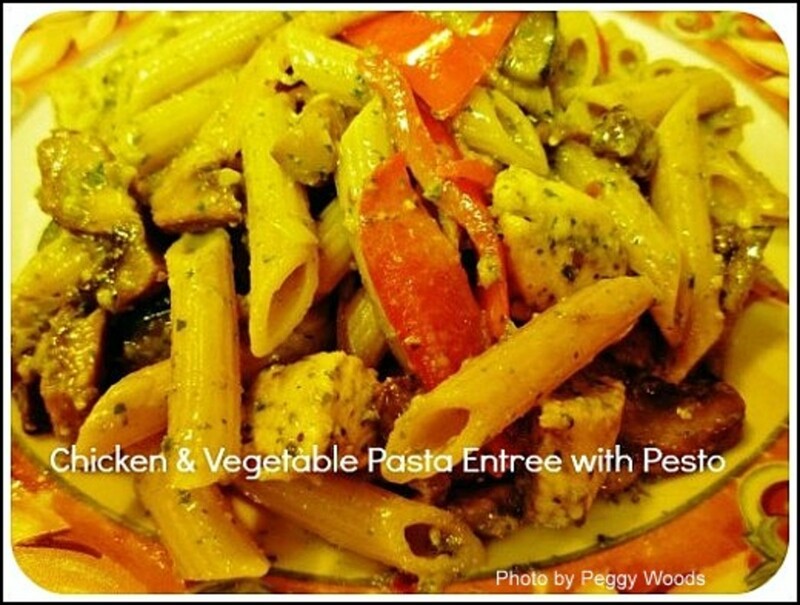 Happy to hear that you will be enjoying this pasta entree with the chicken and pesto. Any kind of pesto would be good but we enjoyed the slightly different taste of the cilantro and parsley. Appreciate your comment. Sounds really good to me.. Will put this in my arsenal of great new recipes. Thanks for sharing and a vote UP. The pesto still has a bit of a crunch because of the other nuts utilized, but a few extra pine nuts would be a nice addition to this Penne pasta meal. Certainly couldn't hurt! Traditional pesto has pine nuts combined into it. Thanks for your comment and votes. I can't believe I missed this when it first came out, since it contains two of my favorite foods: penne and pesto. As usual, the pictures add so much to the instructions. I'd like to suggest a few pine nuts for some crunch. Voting this Up and Useful. Hope you can find the ingredients. This pasta dish is so simple to make and really tasty. Of course other types of pesto could be substituted if you can't find the cilantro. Good luck! Thanks for your comment, votes and the share. Looks delicious, only wish that I had come across it earlier in the day ... guess it will be a takeaway option for me tonight. I love pasta dishes, so if I can find the ingredients over here, I may give this a go. Your idea of using whole wheat pasta would make this dish even more wholesome. We often use it and I like the flavor. 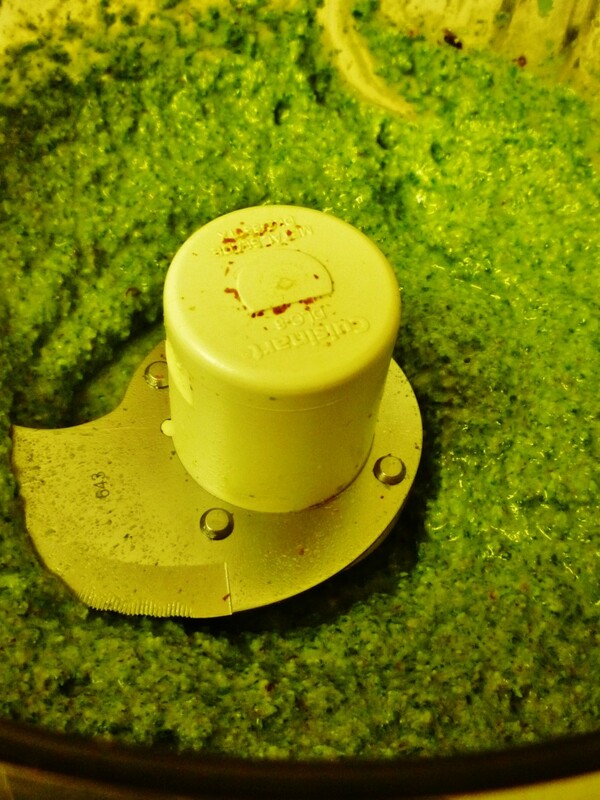 Having the homemade pesto frozen and ready to use in different dishes does make it convenient. The cilantro gave it a different but delicious flavor twist. Thanks for your comment. This sounds so delicious, and I like the idea of freezing the ingredients ahead of time. 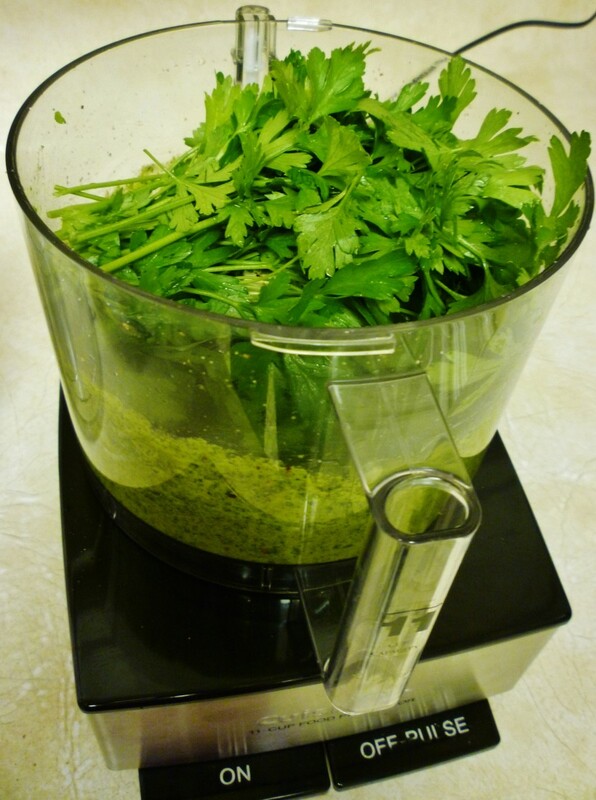 I haven't made pesto in ages and your use of cilantro would be both yummy and nutritious. I plan to try this with whole wheat pasta. Thanks so much! It not only looks good...it IS GOOD! 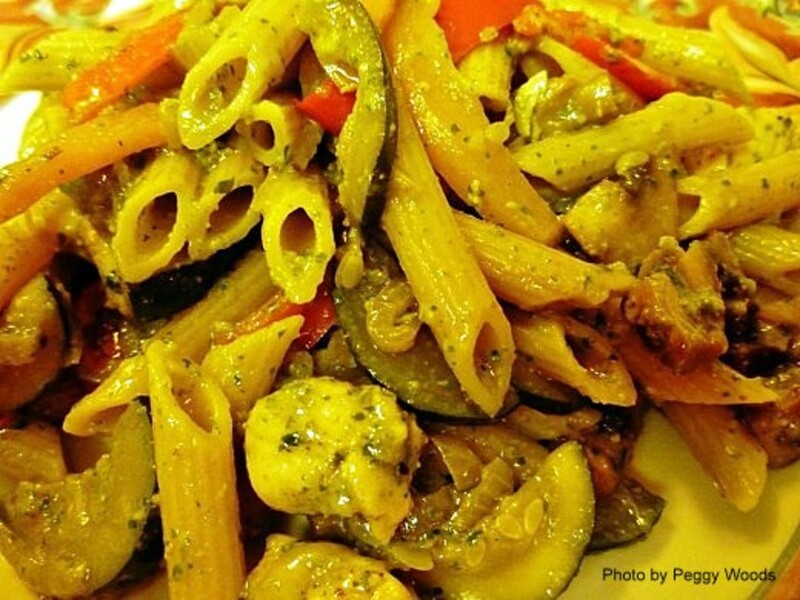 :)) Thanks for your comment on this penne pasta entree. Wow this look so good! I also liked that storage tip from Giada and will have to try it the next time I make some homemade pesto. Glad to hear you liked this page design as well as the recipe. Thanks for your comment. You have a great recipe page design and it is quite interesting. I think the ice cube pesto idea is worthwhile and will save time. Love the pasta suggestions. Pasta meals using fresh ingredients such as this recipe are really easy to assemble and are often palette pleasers. Glad that you liked the pesto recipe. We were together when I bought that large bag of cilantro. Remember? :) After using a bunch of it fresh, I had to do something with the rest of it before much of it would have ended up going on the compost pile. We liked my use of it in this pesto. Thanks for your comment. Glad to be able to share this recipe with you and others. Thanks for taking the time to leave a comment and place some votes. 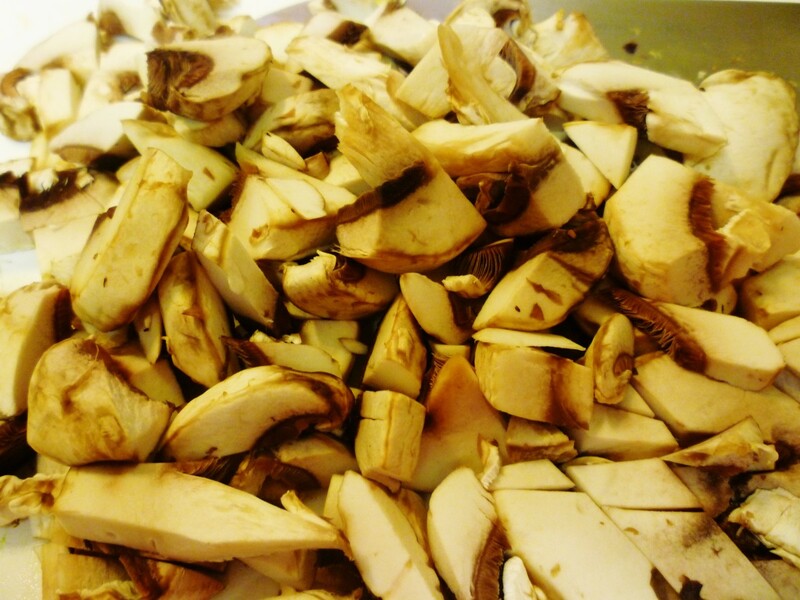 Enjoy this recipe in good health! Another delicious recipe. I will make this healthy, quick and easy recipe soon. You have given easy instructions to follow when one makes the Pesto. Beautiful photos. Another great hub. This has all my favorite ingredients, including penne pasta. Sounds delicious. Voting this Up and Useful. This pasta dish can certainly be deemed healthy with the array of vegetables and the pesto "dressing." 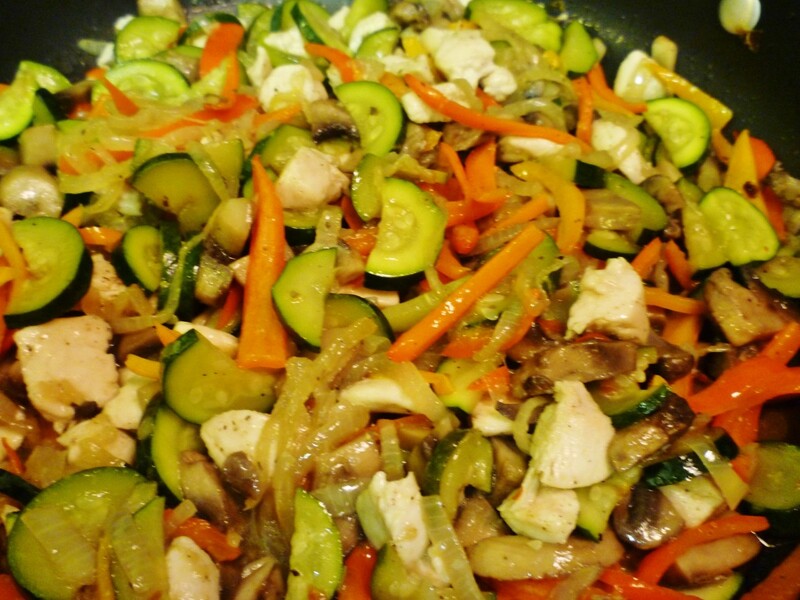 With or without the low fat chicken, hope you enjoy it when you first decide to follow this recipe. Thanks for your comment. Glad that this Chicken and Penne Pasta Entree with fresh vegetables and pesto will be landing on your dinner table in the near future. 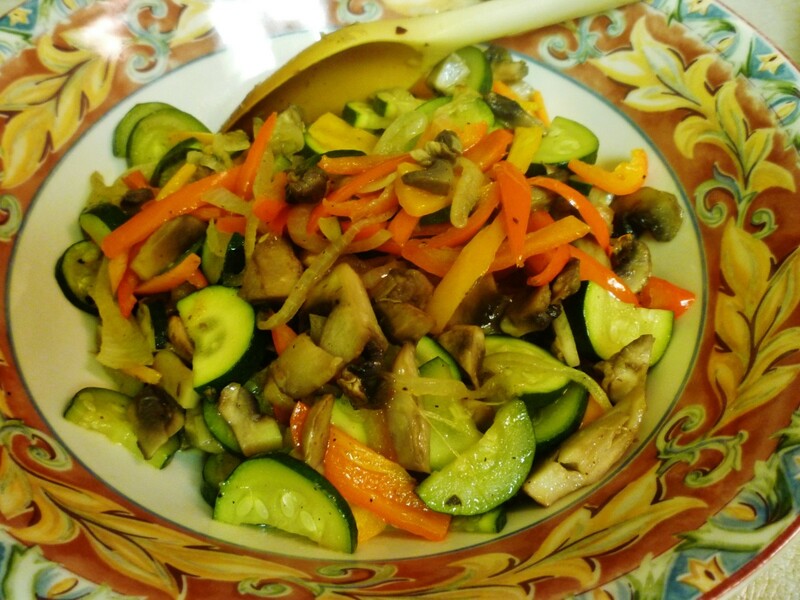 It is so easy and obviously the vegetables can be varied according to what you readily have on hand as well as the pesto recipe being altered to taste or other ingredients that you also have. Have fun experimenting with this recipe or use it just as it is written. Thanks for your comment. If you have never tasted pesto, you are in for a flavor treat! You will have to try some soon...the traditional one or a variation. The fresh herbs and other ingredients add so much flavor to a dish! Thanks for your visit and comment. This sounds very delicious. I really enjoy chicken and pasta dishes and appreciate the healthy cuisine. The Pesto part of this hub alone makes it worth the vote up! 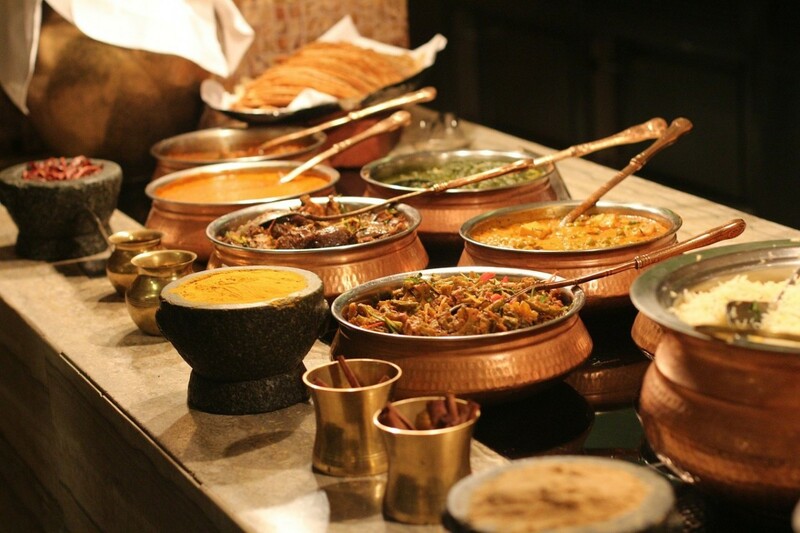 Oh, the challenge of deciding what to have for dinner - you provide one great answer here! Actually, I do not know if I like pesto having never tasted it. Since I absolutely love all types of pasta, I am weary about what I put on it because I always want to make certain that I will thoroughly enjoy my pasta dish..... but your pictures look soooooo good I do not think I will be disappointed! It is delicious...perhaps even better than it looks! Are you ready to try your hand at cooking this? :) Appreciate your comment. Carbo loading approaching midnight is probably not the best thing unless you are running a marathon at 3 o'clock in the morning. Haha! Glad that you liked the sound of this recipe. Thanks for your comment, vote and the share. 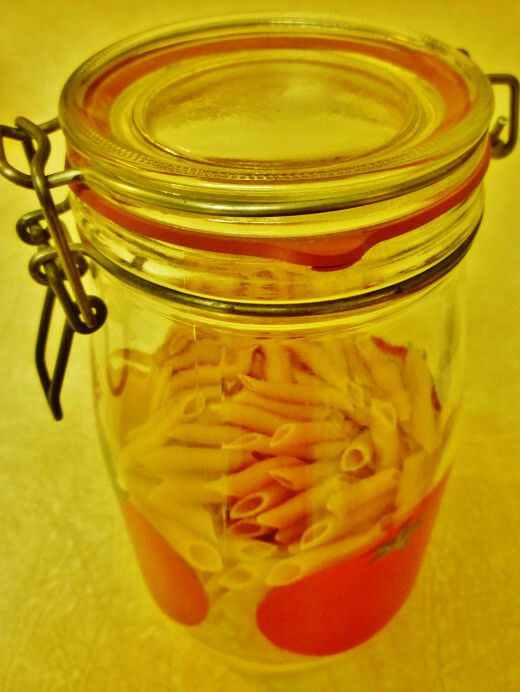 Enjoy this easy to make pasta entree. It is delicious and nutritious. Appreciate your comment. Well, if it tastes half as good as it looks then this is delicious. 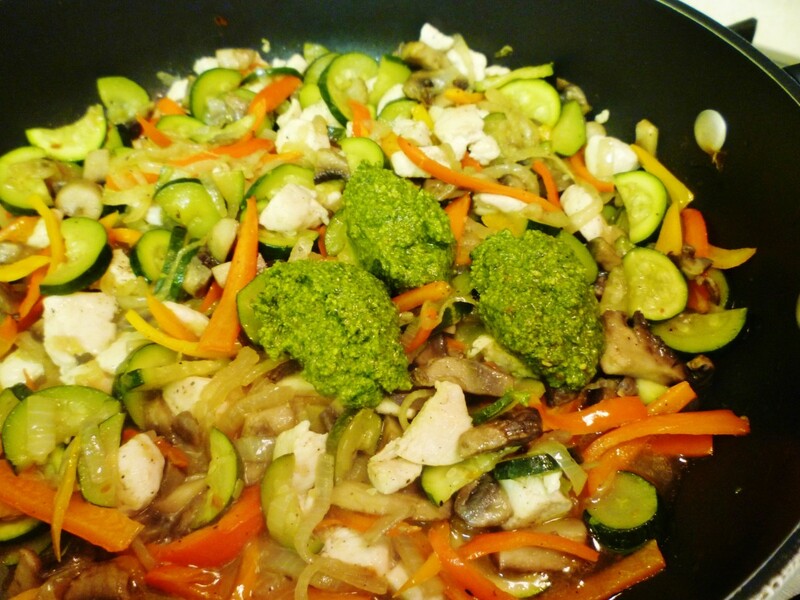 Thanks for the 5 star rating on this recipe using chicken, pasta, fresh vegetables and pesto. It really is a palate pleaser! So kind of you to be sharing this recipe with your friends and followers. As to authoring a cookbook, I never gave it much thought. Will keep publishing recipes here and if the feedback is as good as yours, I might consider it in the future. In the interim...keep reading! Thanks! I know better than to read your recipes at night! It's 11:15, and I want to cook up some pasta! This looks so good, I could eat a big serving right now. I do love pasta in any shape or form. Great Hub. I voted it up, and will share! OK Now I know what I am making for dinner tomorrow night.. this looks wonderful.. I .love pasta.. thank you so much for sharing.. When is you cook book coming out? I love this. I will share this on twitter, with hub followers, facebook and google+.